•	Due to the resignation of multiple immigration officials in Mexico in Guadalajara, Mexico City and Monterrey, foreign nationals should expect delays lasting at least two weeks for pending work permit, permanent residency and corporate registration approval applications. •	Foreign nationals and employers can still submit initial applications in these categories but should consider delays of at least two weeks when planning start dates. Due to the resignation of multiple immigration officials in Mexico in Guadalajara, Mexico City and Monterrey, foreign nationals should expect work permit, permanent residency and corporate registration approval applications to be delayed by at least two weeks. A national election set for June 2018 has resulted in the gradual resignation of first senior-level, then lesser-level officials, who leave office to campaign for their positions when a new government regime is expected to be implemented. The deadline for officials to leave office to campaign is March 16, at which time, it is expected that Ministry of Interior immigration officials in a significant number of Mexican cities will have resigned. This will stall government processes that require the signature of government officials, since the process to appoint interim officials can take weeks. Impact on pending applications.Pending work permit, permanent residency and corporate registration approval applications will be processed, but with an unpredictable delay that depends on when new officials will officially take office. Impact on not-yet-submitted applications. Foreign nationals seeking to submit work permit and permanent residency applications and employers seeking to submit corporate registration approvals (which must be updated annually for an employer to be able to hire and maintain foreign workers) should continue with the application submission process, but should plan for significant approval delays. Impact on work permit renewal applications. Although work permit renewal applications are not yet affected by this situation since senior-level officials do not sign renewal approvals, it is expected that they will be delayed as lower-level officials resign from office. Beyond delays associated with the lack of a signing government official, affected applicants should also expect delays due to the expected backlog of cases, and due to the possibility that incoming officials may re-adjudicate cases. 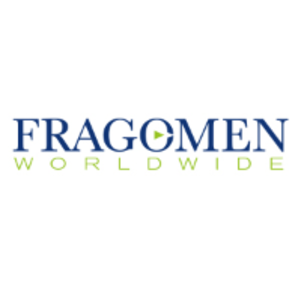 Fragomen is contacting affected clients and foreign nationals to advise on the consequences of this issue. This alert is for informational purposes only. If you have any questions, please contact the global immigration professional with whom you work at Fragomen or send an email to MexicoCityInfo@Fragomen.com.